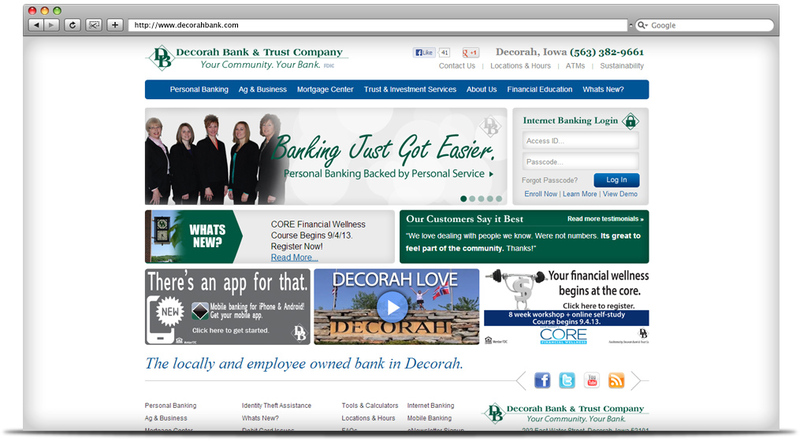 Our role was to improve Decorah Bank’s website so it would be congruent with the outstanding service that they are known for in their communities. 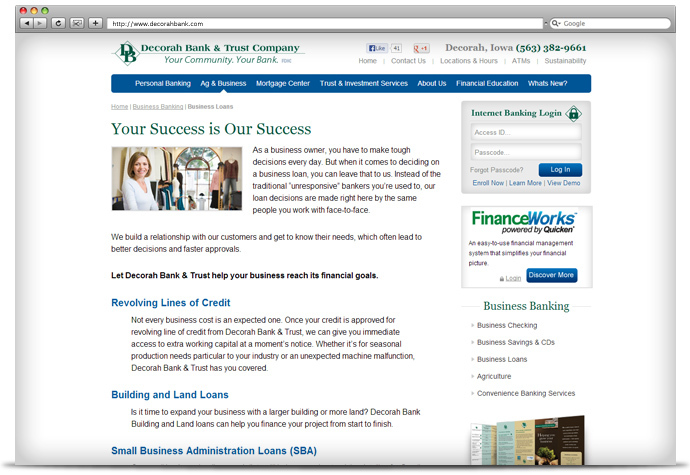 Our focus was to help improve the performance and drive targeted local traffic to their website and local branches. 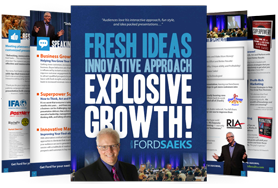 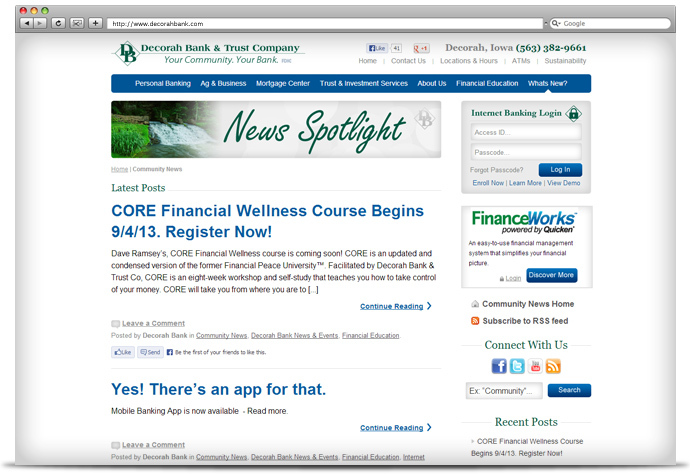 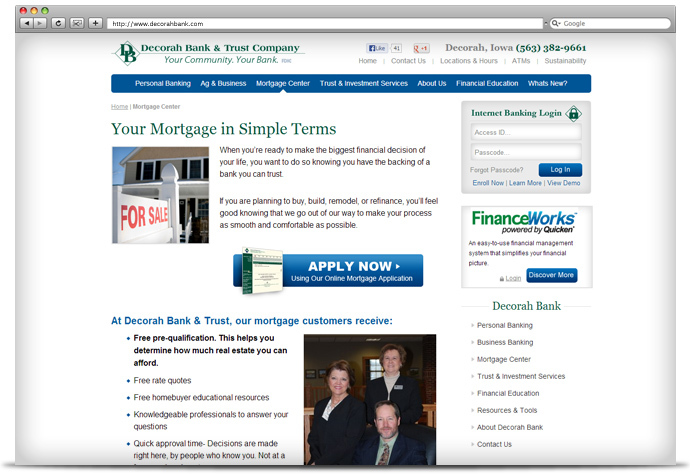 We wanted to increase Decorah’s digital footprint and leverage their marketing and sales efforts. 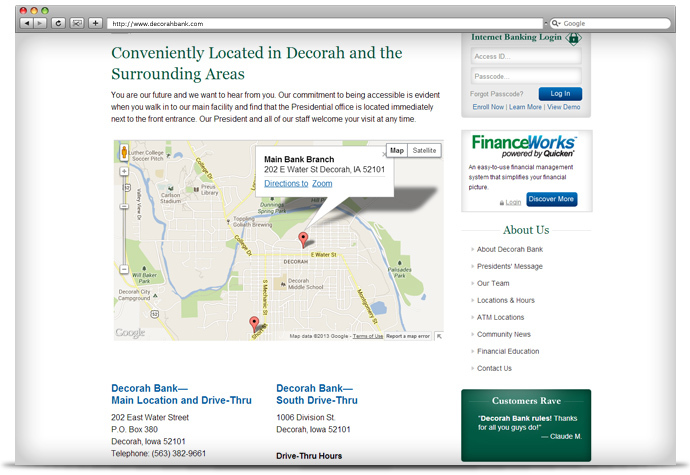 Our goal was to help Decorah get top rankings in the search-engines, especially for their local markets, and dramatically improve their visitor experience in order to increase customer retention and capture new opportunities. 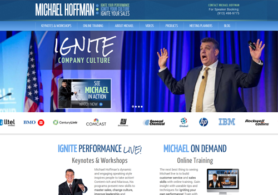 To achieve this, we re-engineered their website with effective benefit messages, keyword-rich content, optimized it for the search engines and made sure it was developed properly for the major web browsers and Internet-ready smart phones. 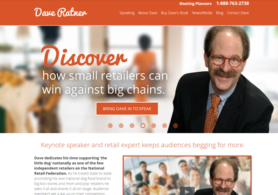 Speaker's Big-Personality Website Design Takes Things Up a Notch!